The probate process can vary somewhat from state to state, and Florida has its own rules when someone dies owning property within the state. But it shares some similarities with others. Many jurisdictions have laws in place that allow for a streamlined probate process when the value of a decedent's estate is less than a certain amount. Florida is no exception. The state's streamlined process is called a "summary administration." Which Estates Can Take Advantage of Simplified Probate? A Florida estate can qualify for summary administration under one of two circumstances. An estate will qualify for summary administration if the value of the decedent's Florida probate property does not exceed $75,000 as of 2018. This amount doesn't include the value of the decedent's protected homestead real estate, so heirs can still take advantage of Florida's summary administration if a Florida resident dies with $50,000 in the bank and a homestead residence worth $150,000. An estate will also qualify for Florida summary administration if the decedent has been dead for more than two years, regardless of the value of his or her assets, but there must have been no prior administration. The decedent must have died debt-free, or the estate must secure the agreement and consent of all creditors to proceed with a summary administration. The heirs of a nonresident of Florida who owns real estate located within the state can take advantage of summary administration under the same circumstances: The value of the nonresident decedent's Florida real estate does not exceed $75,000, or the nonresident died more than two years ago. What Is the Filing Fee for Simplified Probate? The filing fee for a Florida summary administration is usually $345 as of 2018. Fees can differ somewhat by county, however, as well as for nonresidents' estates, so contact your local probate court to confirm. Fees can additionally increase slightly from year to year. How Long Does Florida Summary Administration Take? 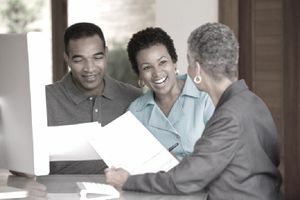 The summary administration process begins when someone—usually the estate's executor or an heir—files a Petition for Summary Administration with the probate court. The surviving spouse must sign and verify the petition if the decedent was married. Beneficiaries named in the will don't necessarily have to sign and verify it, but any who don't must be formally served with notice that the petition has been filed with the court. The petition must include a full list of the deceased's property and assets, the value of each, and the name of the beneficiary to receive each asset. The court will review the petition and issue an Order of Summary Administration. This releases the decedent's property to the estate's beneficiaries. No executor or personal representative is required to serve. This can take as little as a week for very small estates, but it will more likely take up to a month or two. But this is still significantly less time than a Florida formal administration. One important consideration involved in this type of proceeding involves the decedent's debts, even when the estate has gotten consent from all known creditors. Beneficiaries are personally liable for these debts after a summary administration for two years after the date of death. It's possible that an unknown creditor can surface during this time and make a claim against one or more beneficiaries for payment. Extremely small estates might qualify for Florida's "Disposition Without Administration" process instead. This option is available to estates when all the decedent's assets are either exempt from creditor claims or the value of her assets does not exceed her funeral expenses and medical expenses incurred in the last 60 days of the decedent's final illness if any. The estate cannot include real estate. Should You Take Advantage of Florida Summary Administration? Although a Florida summary administration might appear to be a cost-effective and less time-consuming process than formal administration, it's not appropriate in all situations. Consult with a Florida probate attorney if you think a will contest is possible, if there are heirs who cannot be located, if the estate has multiple creditors, or if it's insolvent, meaning that it doesn't have sufficient money or value to pay all the decedent's creditors. A lawyer can help you determine the best course of action if you're dealing with an estate that's a bit complex.